Moscow judge and lawyer suspected of corruption, attempted embezzlement | Russian Legal Information Agency (RAPSI). 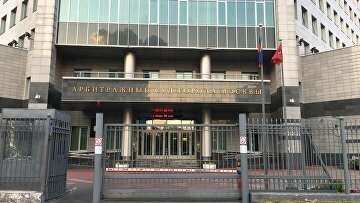 MOSCOW, August 22 (RAPSI, Nikolay Merkulov) – A criminal case has been opened against ex-judge of the Moscow Commercial Court and a lawyer of the Moscow Chamber of Lawyers on suspicion of attempted embezzlement and bribery, the Investigative Committee’s press service reported Tuesday. In 2016, one of the suspects being a judge offered a businessman his assistance in a bankruptcy case through a familiar lawyer. The suspect promised that the businessman would avoid subsidiary liability, according to investigators. The lawyer acting as an intermediary persuaded the businessman to give him $70,000 in bribes for passing judgement in his favor. The judge was not going to fulfil the assumed obligations and planned to embezzle the money received through the attorney, the statement reads. Alleged accomplices were arrested when receiving the money. They pleaded guilty, the Investigative Committee stated.